The West of England School in Exeter commissioned three mosaic panels to commemorate the Commonwealth Games of 2014. I worked with the Art teacher and some of the students to create the panels. The work was funded by a donation by the Exeter Fine Arts Society. 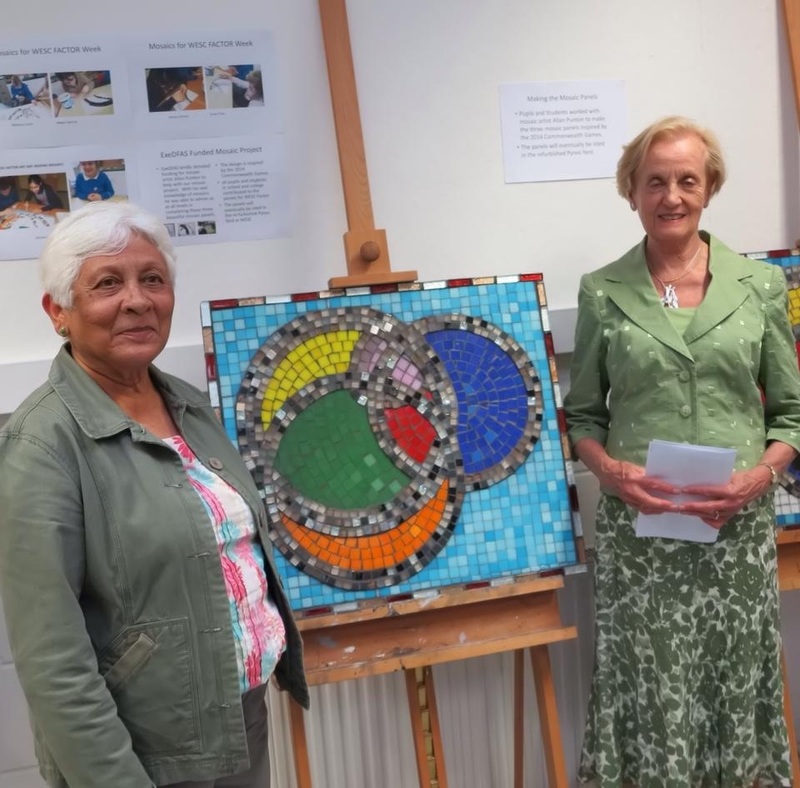 The three panels were exhibited in the WESC end of year art exhibition held at Exeter School. This entry was posted in School installations on 16th January 2015 by admin.